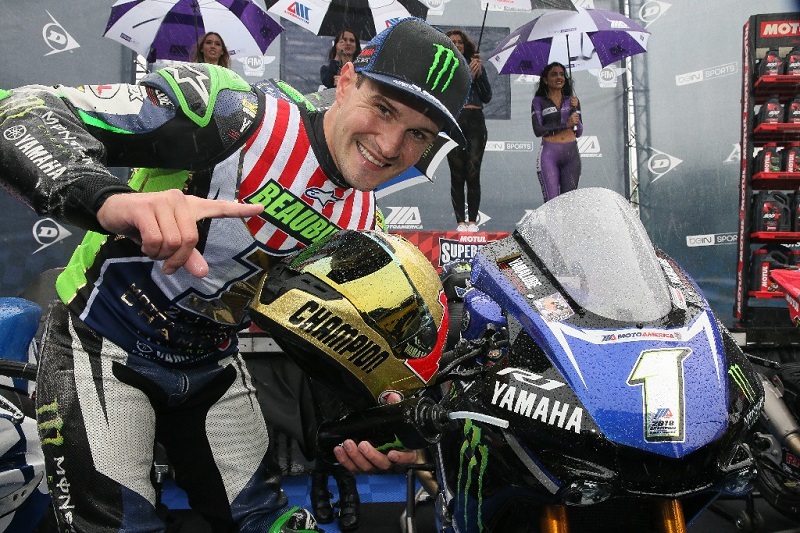 MILLVILLE, NJ (September 9, 2018) – Cameron Beaubier won his third MotoAmerica Superbike Championship in style on Sunday, the 25-year-old Californian taking his eighth Motul Superbike win of the year on a wet and dreary day at New Jersey Motorsports Park in the Championship of New Jersey. Elias trailed Beaubier’s Yamaha teammate Garrett Gerloff for a lot of the 18 laps, but was able to get around the Superbike rookie to finish third. At the finish line Elias was some four seconds ahead of Gerloff.